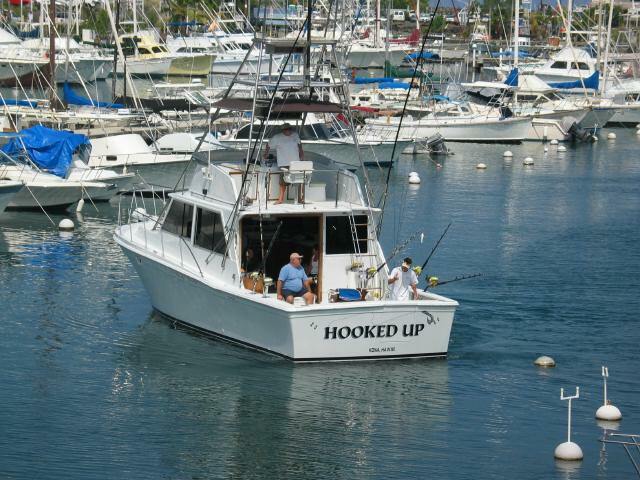 Hooked Up is the original or the first boat in this trio of boats. 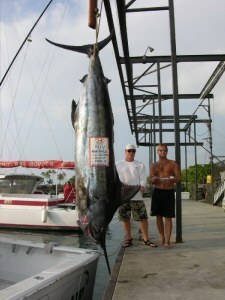 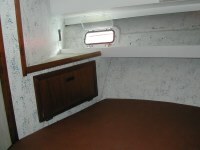 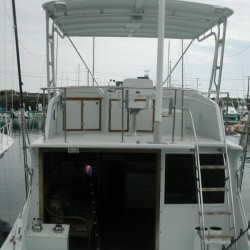 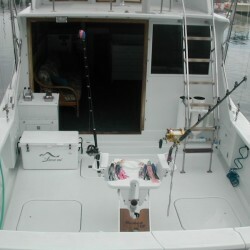 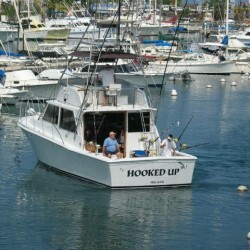 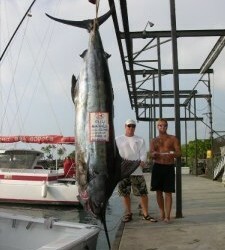 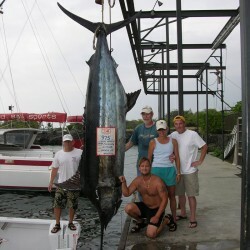 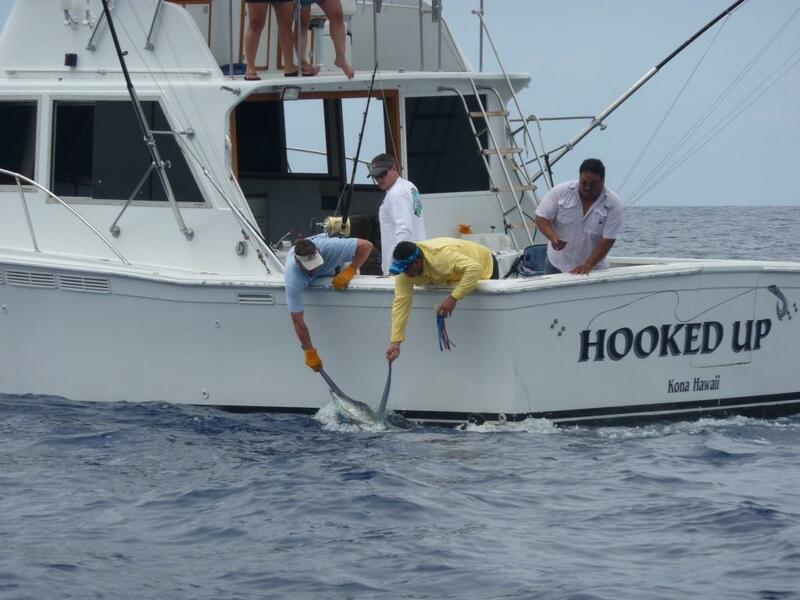 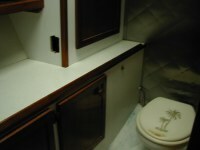 “Hooked Up” is a first class Deep Sea Fishing Charter Business. 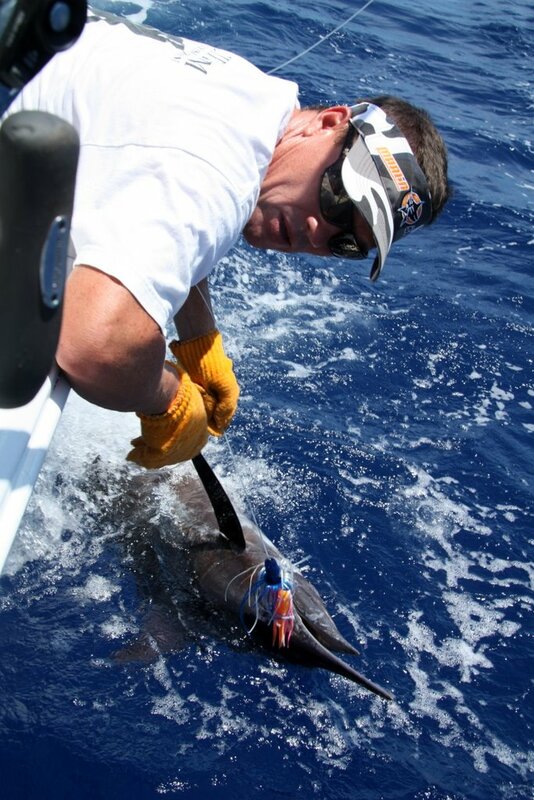 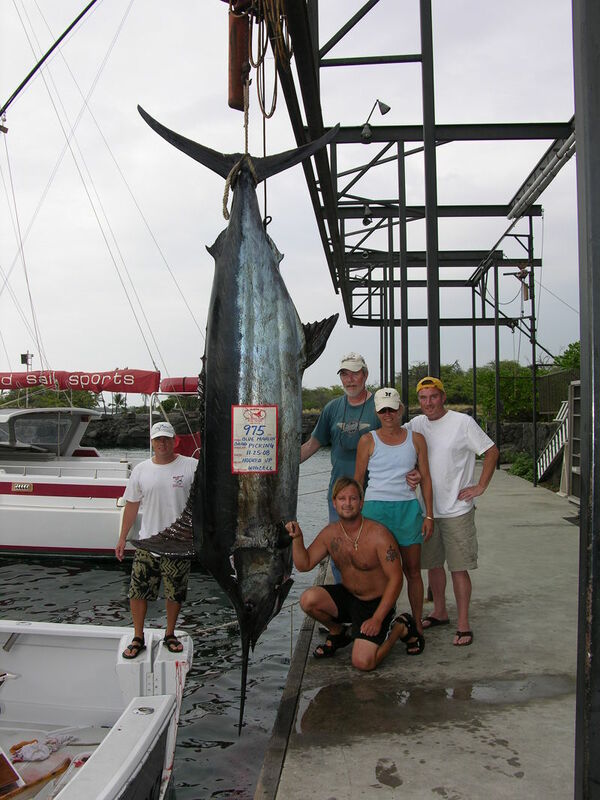 We specialize in catching Blue Marlin, Spearfish, Mahi Mahi, Ono and Tuna year round. 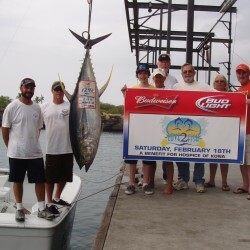 We have a consistent and proven catch record and you can check this out in our “tournament results.” Just like all of our boats we will customize your trip to meet your needs and expectations. 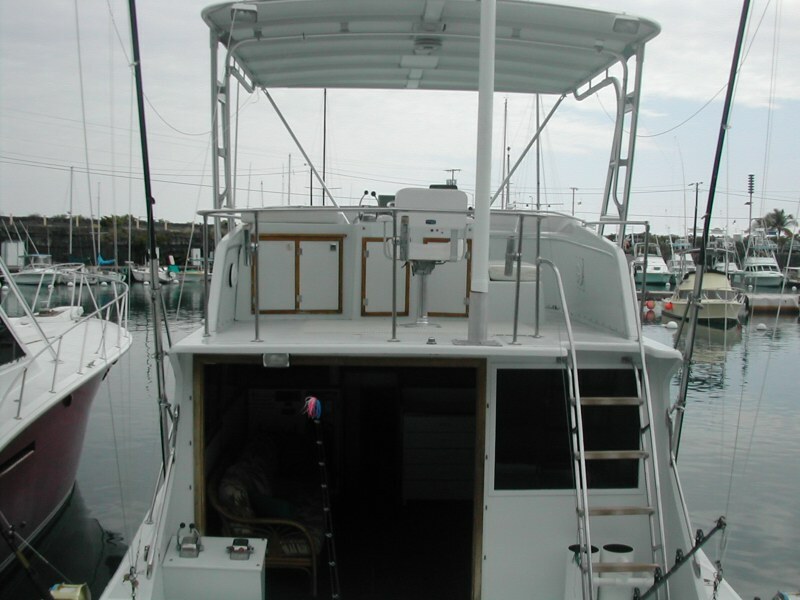 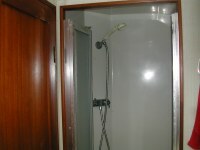 “Hooked Up” is a 42′ Uniflite that is very large, clean and comfortable. 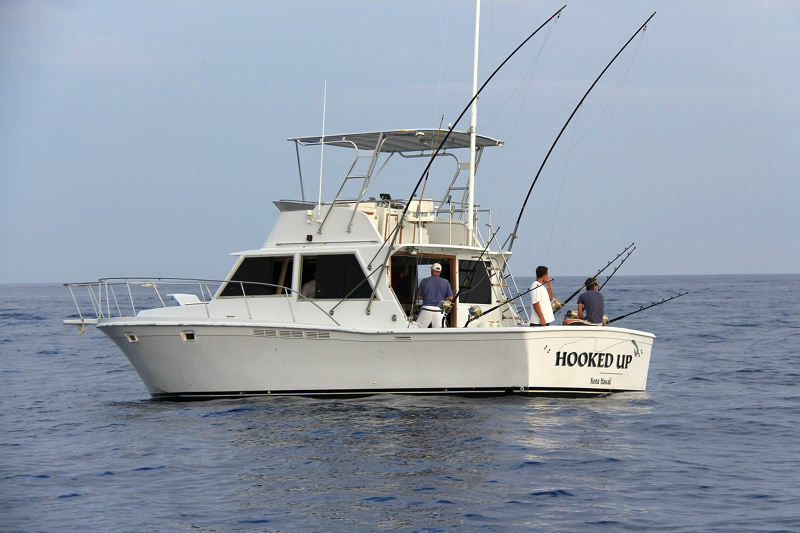 Hooked Up is the largest and most comfortable boat in Kona for its price range. 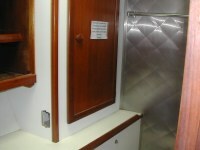 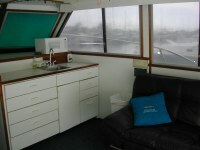 The back of the boat is open so you can see all the action with out leaving the cabin. 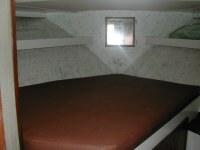 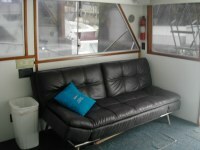 We have two full size couches in the cabin, which is a great place to watch the lures in the shade. 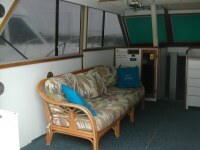 The bridge on the Uniflite is well shaded, nice and large; six people can sit comfortably under on the bridge with the Captain. 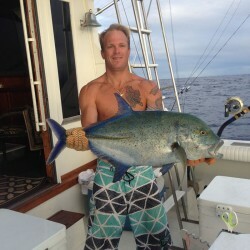 For those of you that just want some action we will target the smaller Tuna on light tackle or even bottom drop for big Jacks when they are available. 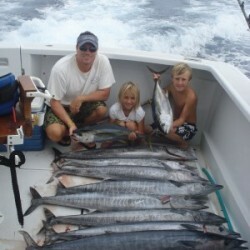 For the real little kids we don’t mind fishing the reef, it’s good fun and the little one’s enjoy it. 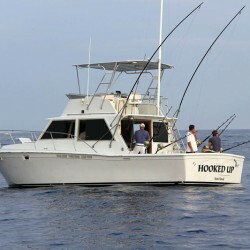 This is what differentiates us from the rest of the competition we don’t mind mixing it up to get you some action. 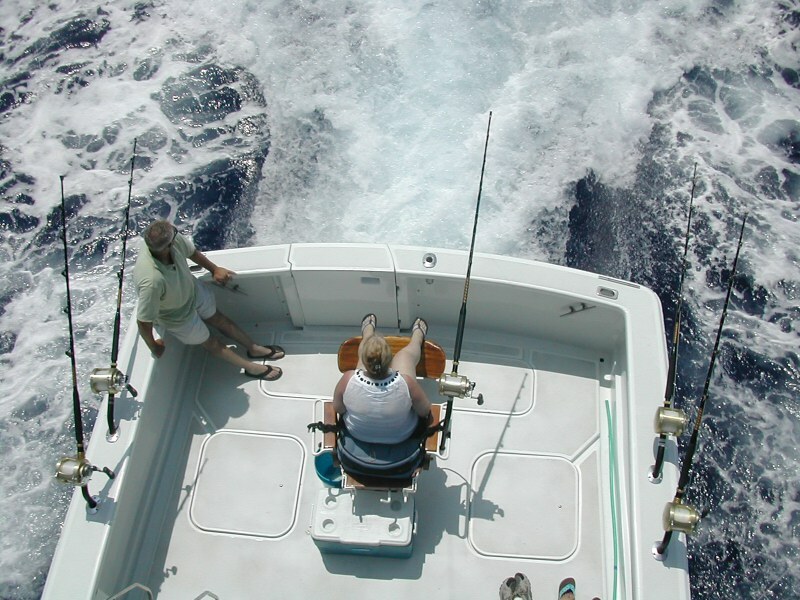 Whether it’s trolling, live baiting, or bottom dropping we will work hard and try different techniques to catch you a fish. 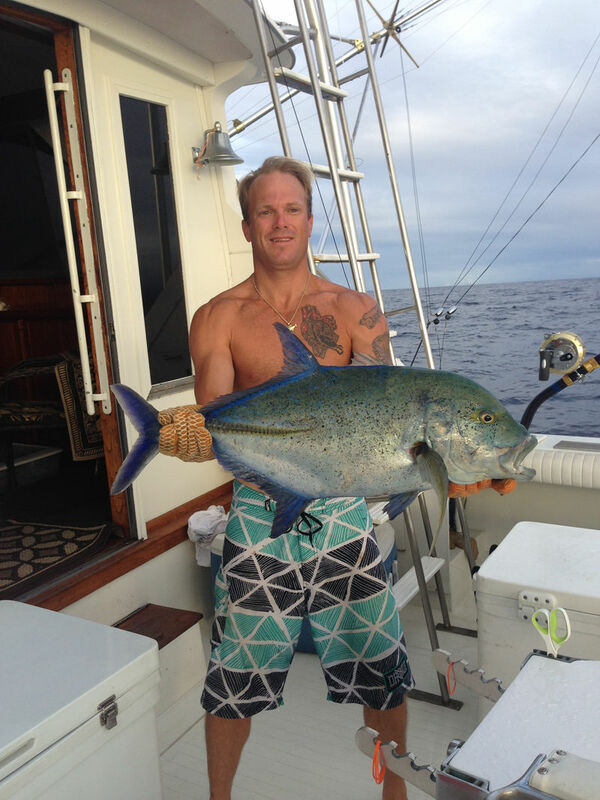 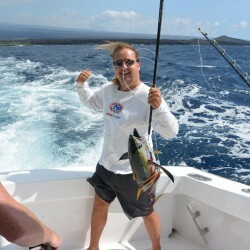 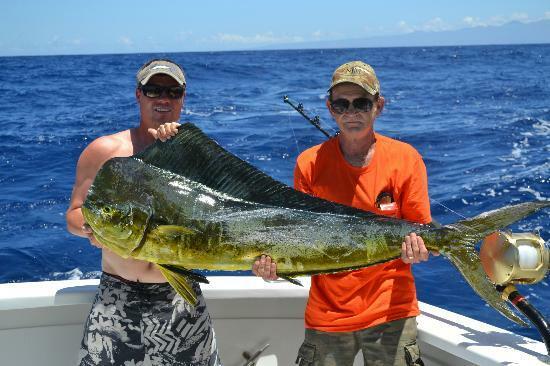 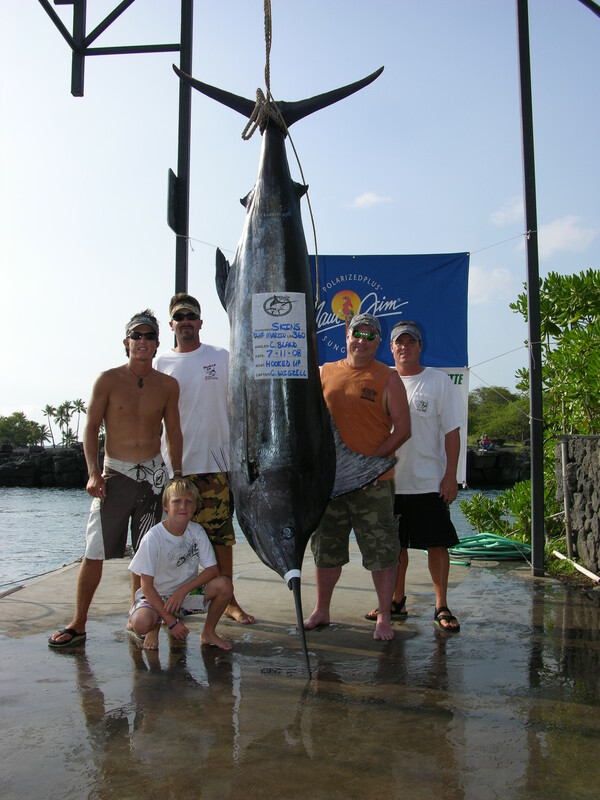 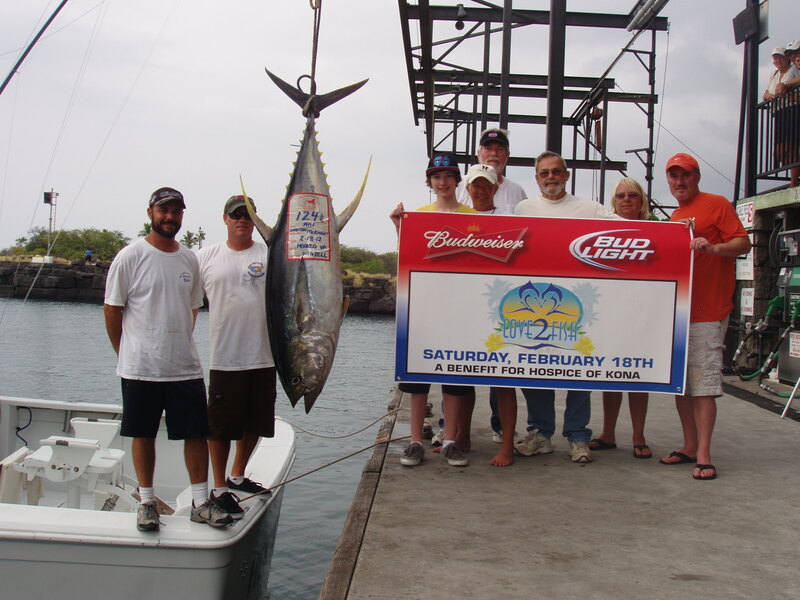 We offer private, share and last minute Kona fishing charters. 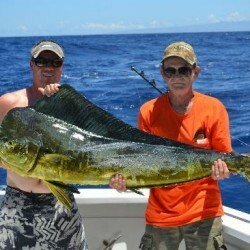 Check out our Facebook page to see what we are catching. 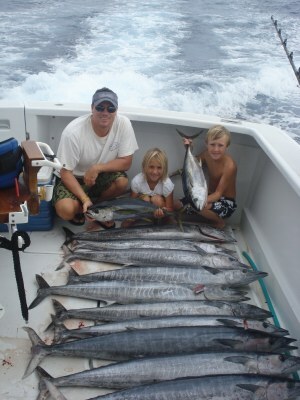 Trolling – Five 130#, two 80 # and three 50 # Shimano Tiagra two speed reels with custom rods. 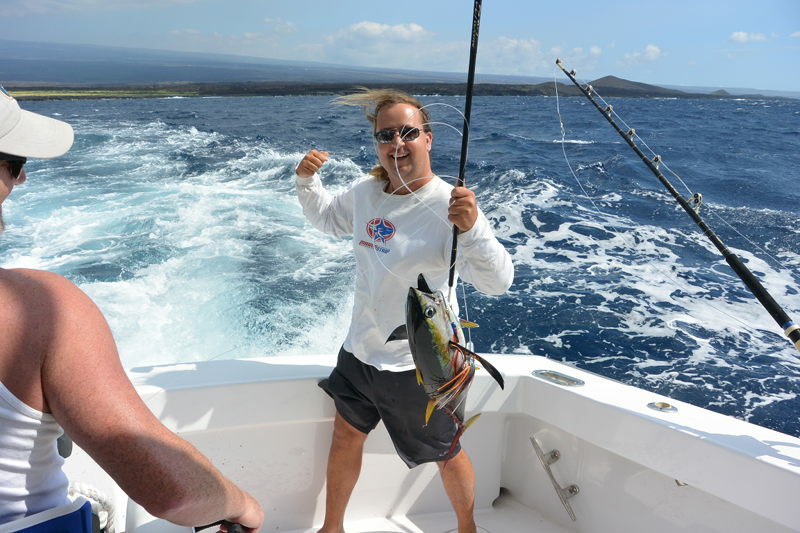 We use IGFA Amalon-T line on the 130’s and IGFA Momoi on the other reels. 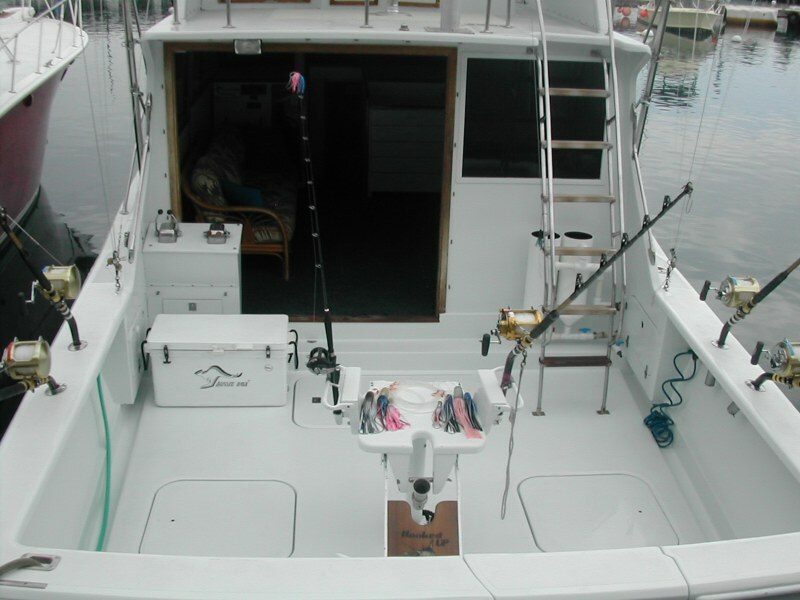 Light Tackle – Shimano Tiagra 16 # two speed reels, 20# Penn Graph-Lite reels and 30 # Avet two speed reels with Tallus blue water series rods. 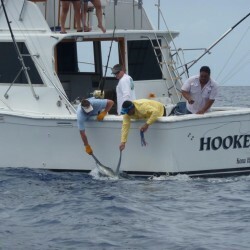 Green Stick – Used for catching large tuna in the porpoise schools. 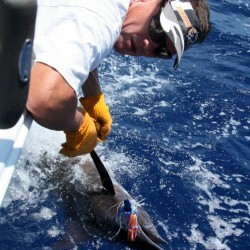 Teaser Reels – Double pancake Elec-tra-mate teaser reels with auto memory. 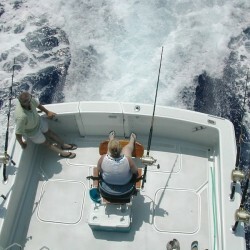 Tuna Tubes – Double Kodiak Marine Tuna Tubes. 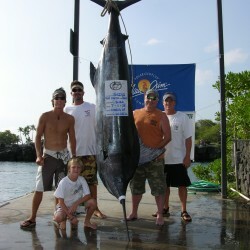 Lures – Custom Hooked Up, Marlin Magic, Joe Yee, Mold Craft and Aloha Lures.